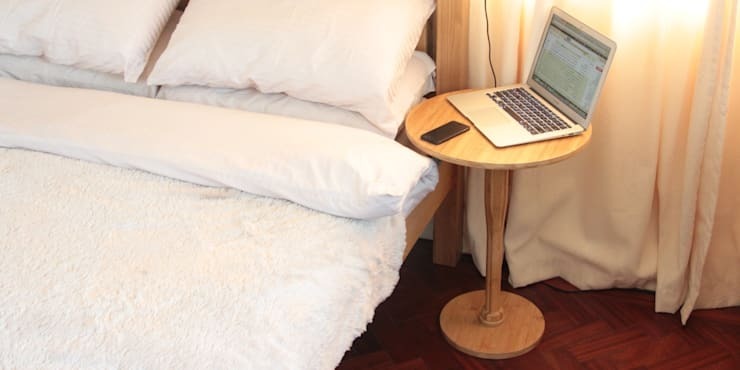 This minimalist bedside table is a piece of modern designer furniture. It is equally suitable for both a male and female bedroom. The staples can be used for cables. 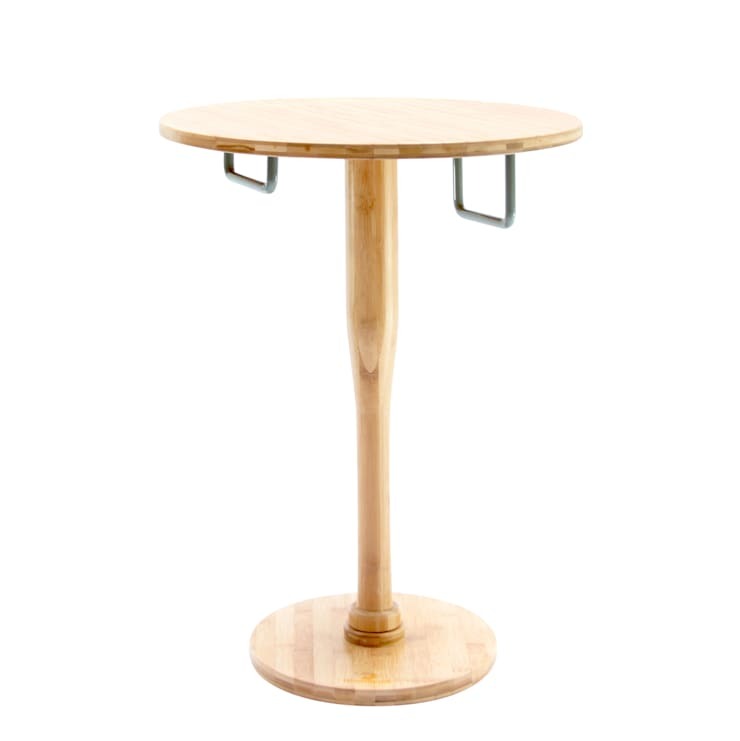 The bamboo material gives the table its effortless chic. 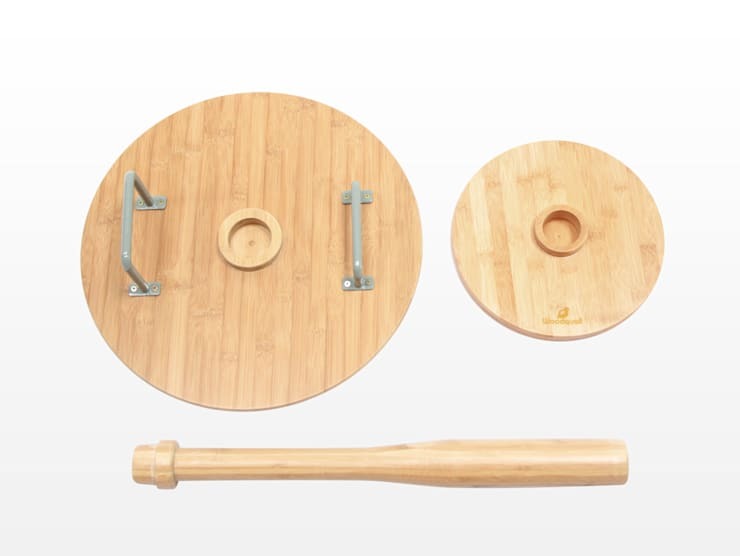 As with all of our bamboo products, this one has been varnished to protect it against water and to make cleaning easy. 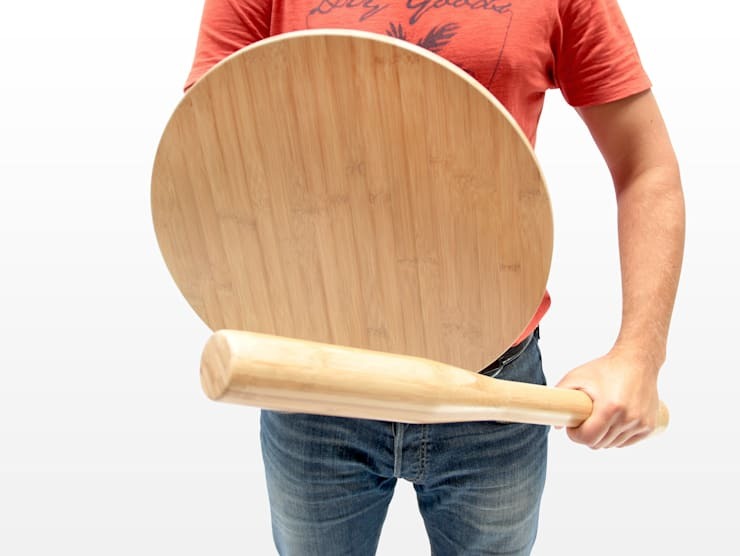 The top of the table doubles as a shield and the removable leg acts as a club. These can be helpful self-defence accessories that visually warn the intruder that you are protected. Designer furniture tends to combine aesthetic & practical functions. 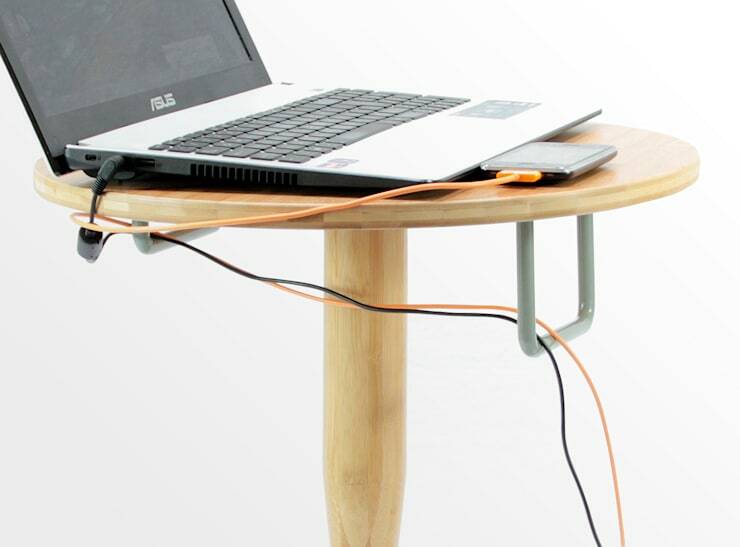 This slim bedside table also has added extra features.